Scotty shows proof in court that Ava is alive and explains how Silas helped her. Via flashback, we see that Liesl took Ava&apos;s glass, had its DNA tested and gave Scott the results. Sam stops by to see Julian, but finds Alexis instead. The two discuss Julian&apos;s innocence. Sam decides to accept it. The two discuss Silas and how he helped Sam move on and she hopes his killer is brought to justice. Julian goes to Sonny&apos;s. Sonny tells him to confess and he&apos;ll let him off the hook. However, the catch is Julian would have to work for Sonny. Julian accuses Sonny of setting him up. 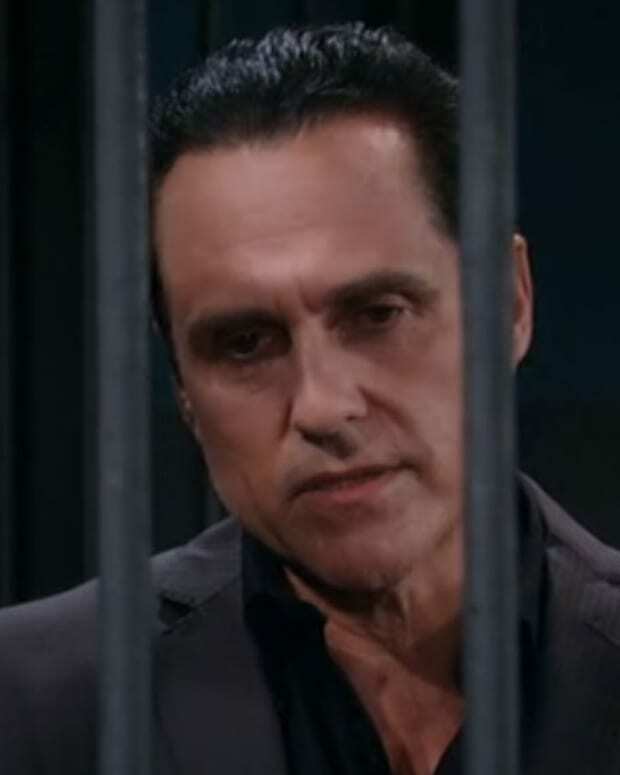 Sonny still believes Julian is lying. Patrick congratulates Liz on her engagement, but warns her that Jake is capable of violence. Liz is hearing none of it. She says even Sam told her not to give up on a second chance. Liz asks when Patrick plans to propose to Sam. He feels Sam still isn&apos;t completely over Jason. Nathan tells Maxie about his visit with Nina and how she&apos;s protecting Franco. He also says Madeline is trying to steal her money. On the stand, Scotty pushes Ava until she admits that&apos;s who she is. He accuses her of killing Silas. Ava shows them the photo of Nina. Ric calls Nathan to pick up Nina, then has Ava arrested for Connie&apos;s murder. Ric calls Sonny to let him know that Ava is alive. Franco&apos;s upset with Scott for bringing out the truth about Ava, which will cause problems for Nina. Scott wants all charges against Franco to be dropped. Franco announces that he killed Silas.